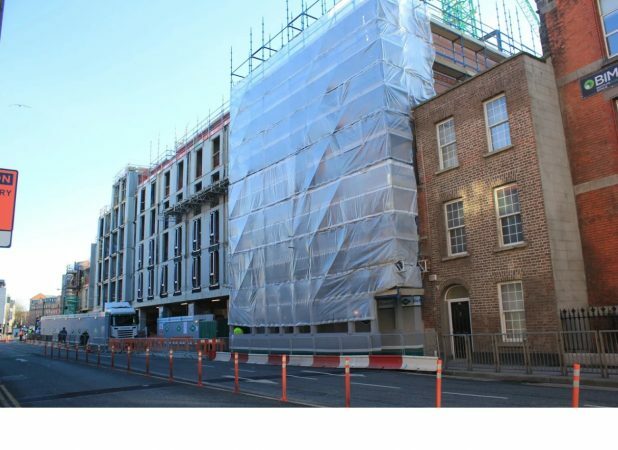 Last year we ran a couple of articles on the development work being done on Cork Street. . Below we have a quick update of what has been going on for the past couple of months. Much progress has been made since work began last year. 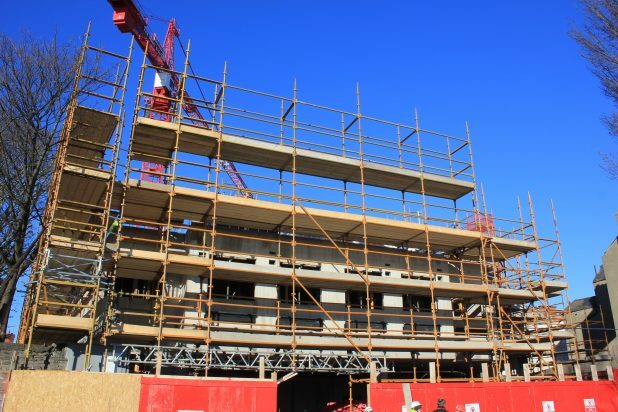 The 40 million euro development looks like it will be completed on schedule. 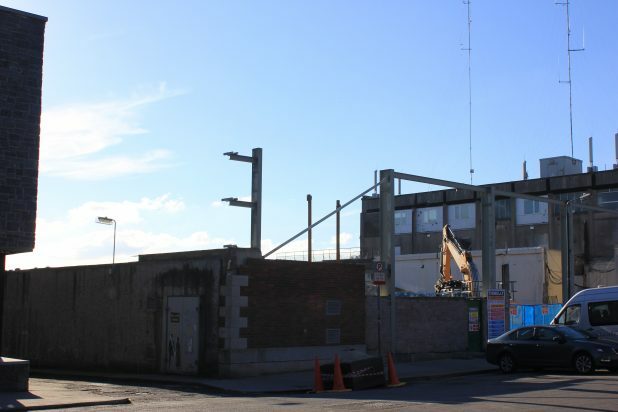 The only visible sign of work is the demolition of the building that housed the Green Door market. 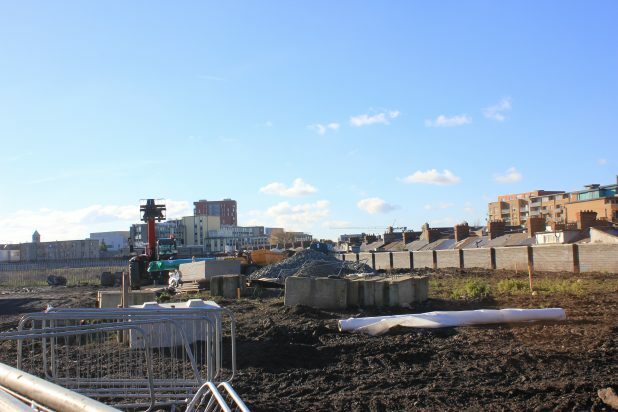 The other sites due for development appear to be lying idle. 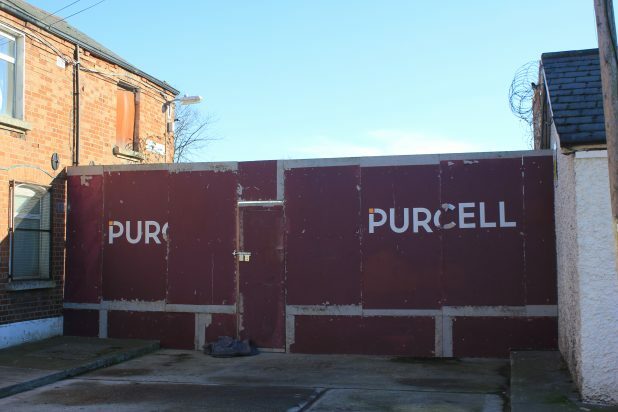 The corporation intends to clear the allotments to make way for another new development. 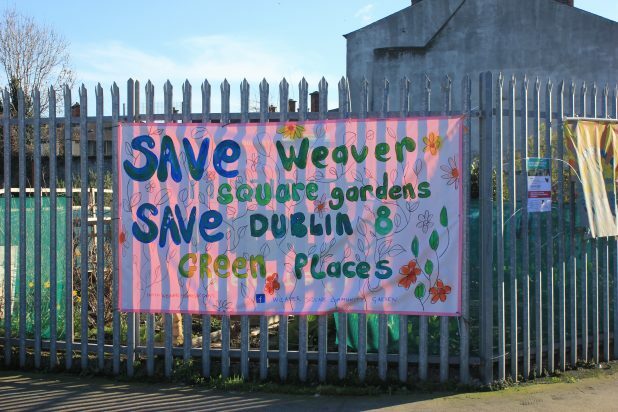 The Weaver Square Community group on facebook mounted a great campaign over the last few weeks in an attempt to save it but to no avail unfortunately. The last of the vegetables and plants were removed over the weekend. More on this over the next few months. 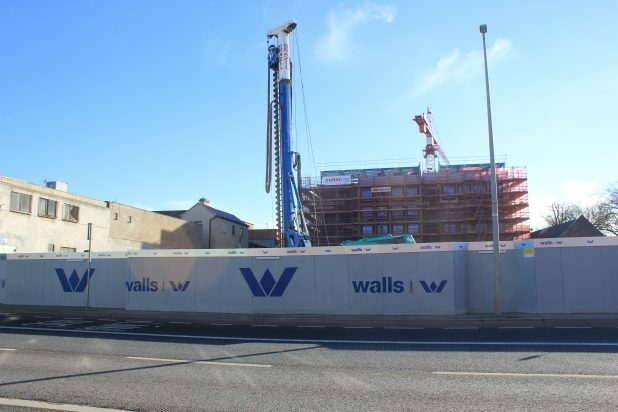 The student accommodation development has made good progress over the last few months. 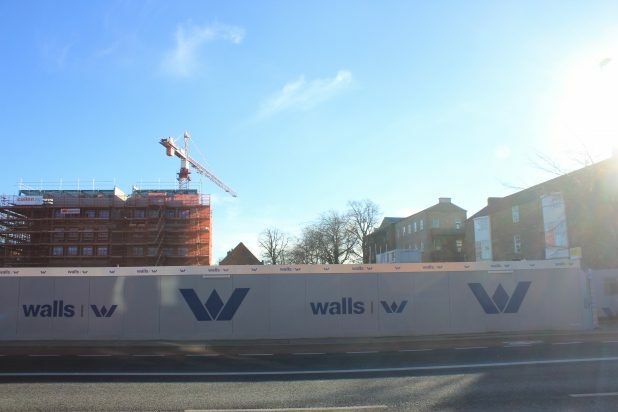 Again it looks like the projects will be completed on schedule. Teresa’s Gardens and adjoining sites. 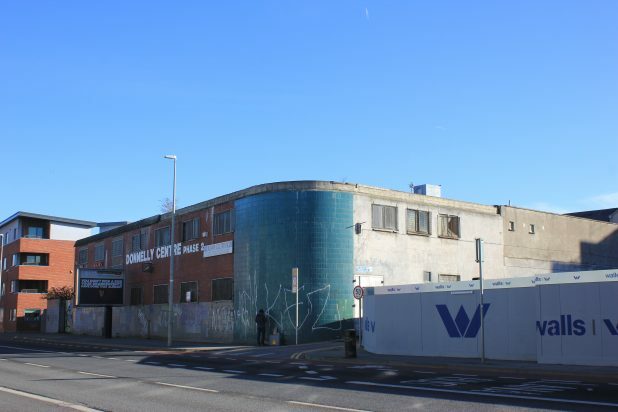 With the exception of the new hoarding around the site and its annexation of Darleys Terrace, the entire site is idle. 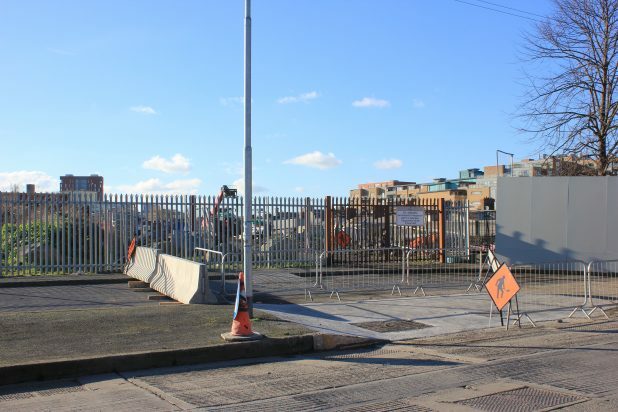 There has been news recently that the former John Player factory have been given back to its former owner who cleared his debt to NAMA stalling the entire development.